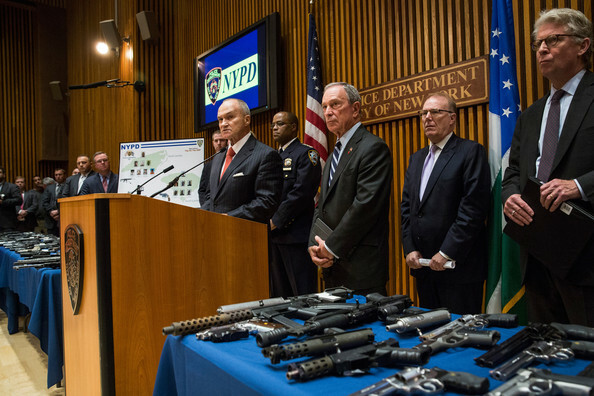 New York Police Department (NYPD) Commissioner Ray Kelly (5th R) speaks as New York City Mayor Michael Bloomberg (3rd R) listens during a press conference to announce the an operation that seized the largest number of illegal guns in the city's history on August 19, 2013 in New York City. The operation, which involved an undercover agent buying guns that were smuggled from North Carolina and South Carolina, yielded over 250 guns. Nineteen people have been charged in the operation.